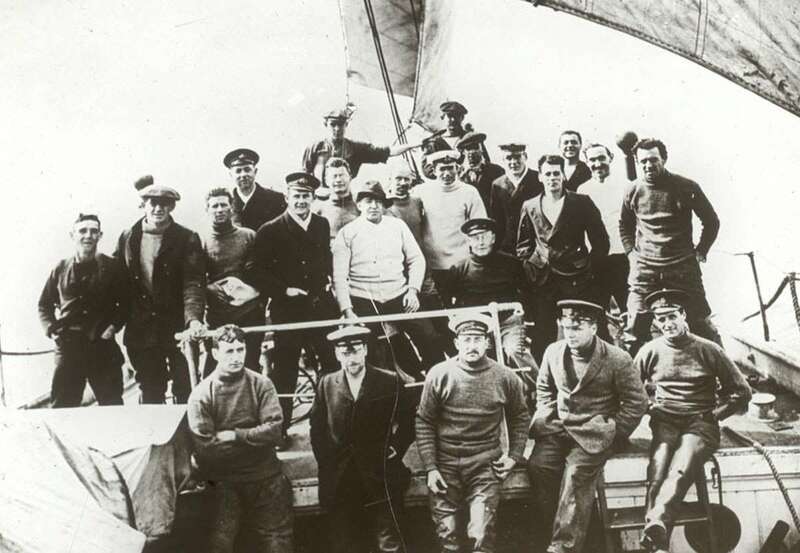 On 24 April 1916, 99 years ago, Antarctic expedition leader Sir Ernest Shackleton, his Endurance skipper Frank Worsley and four of his crew loaded into the seven-metre lifeboat James Caird and set sail from the rocky spit of the sub-Antarctic Elephant Island to reach help across the treacherous southern oceans, leaving 22 men behind on the barren outcrop. It was one of the most pivotal and risky chapters in one of the 20th century’s most remarkable survival stories. 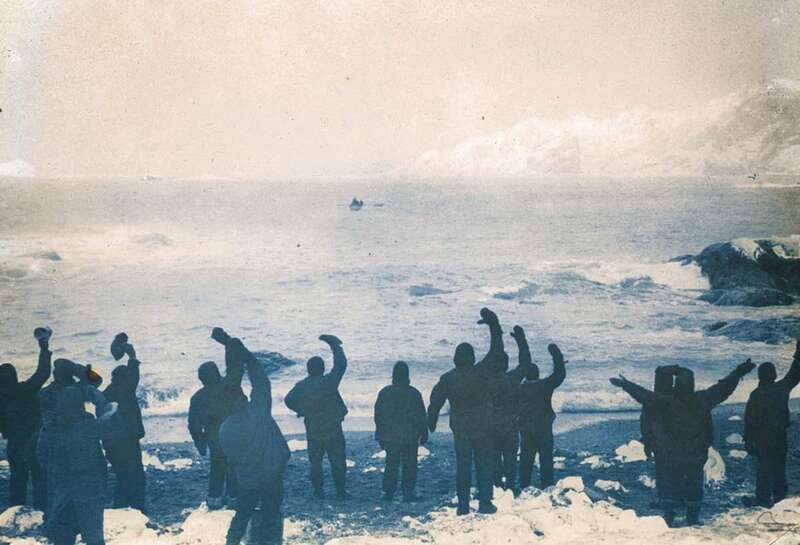 With their ship Endurance crushed, they spent 17 months adrift camping on ice, then six days afloat in three lifeboats before reaching Elephant Island. All 28 men were alive and safe, but marooned far from shipping routes and settlement. Winter was looming, supplies dwindling and the sick list growing, so this rescue voyage was one of few options available to them. 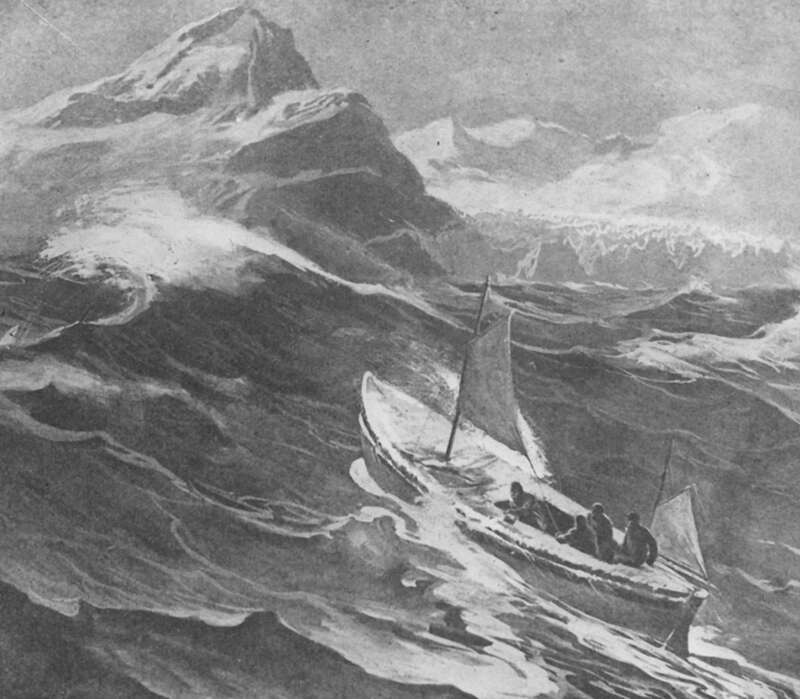 The six men in the little boat were to head for the island of South Georgia, 1,500 kilometres to the northeast. While expedition leader Shackleton’s analytical account of this incredible boat journey and Worsley’s swashbuckling narrative are both legendary, one of the less high profile characters in this story writes an equally compelling practical report of the lead-up the voyage. His role was critical. He is Henry (Harry) ‘Chippy’ McNish, a merchant mariner and thrice-married, 40 year-old Scot. A member of the United Free Church of Scotland, he was known to hold strong socialist views, and had earlier challenged Shackleton about the boats on the ice after Endurance was lost. 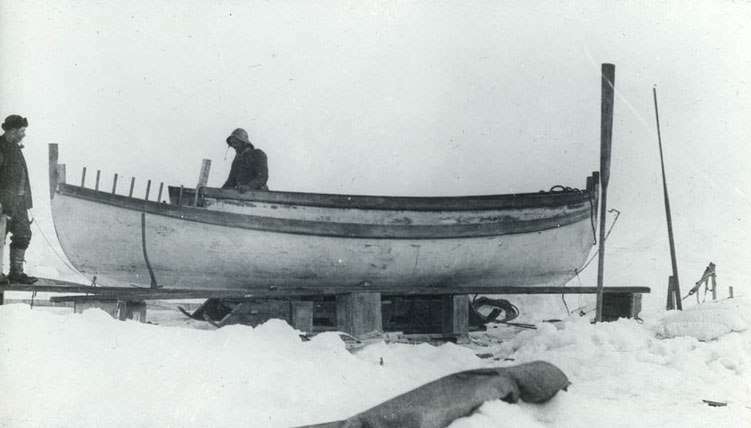 A strongly practical man, McNish had nonetheless kept himself busy at their Ocean and Patience camps making modifications to the Endurance’s lifeboats and especially to the largest, James Caird, when it appeared that the fortunes of the marooned 28 men might depend upon it. Sunday April 23rd we were out last night and pulled the Caird further up the beach as there was a higher tide & more surf than usual. I have been busy getting the boat ready & it has been snowing & blowing very hard all day. Cheatham & McCarthy have been busy trying to stretch the canvas for the deck. They have had rather a job as it was frozen stiff. They had to pull the needle through with a pair of pinchers. Marsten and McLeod have been assisting me. Monday April 24 A fine morning. I started on the boat at daybreak and finished at 10am. Then all hands were mustered & we launched her & as we were getting her of the beach a heavy surf came up & owing to us being unable to get her bow of the beach. 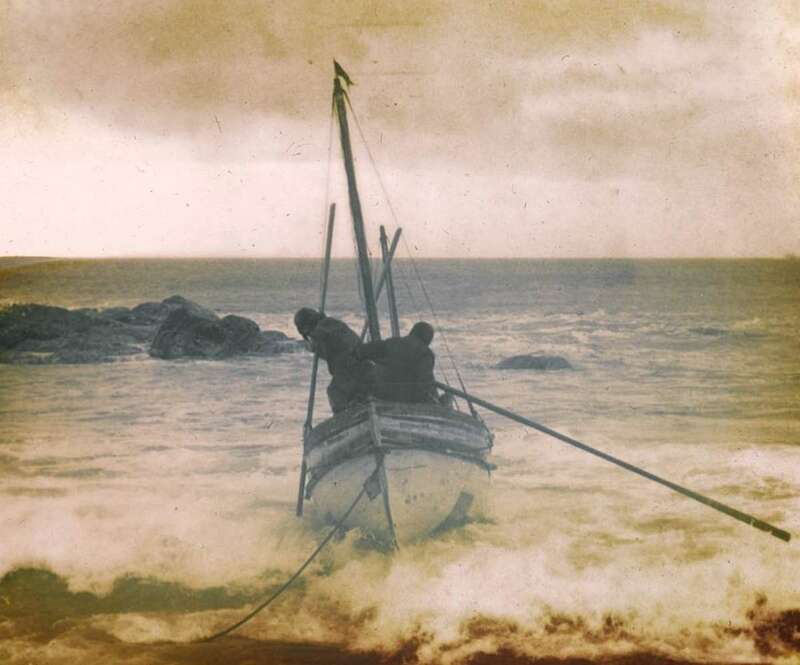 She almost capsized as it was she emptyed myself and Vincent overboard but we regained the beach again & went in on the stancomb wills [the third lifeboat]. We got her ballasted & the stores aboard & everything ready. We took goodbye with our companions & set sail on our 870 miles to South Georgia for assistance at 12.30pm & at 2pm we came to a stream of ice which we managed to get through in about an hour. ‘Then we were in the open sea wet through but happy through it all’. 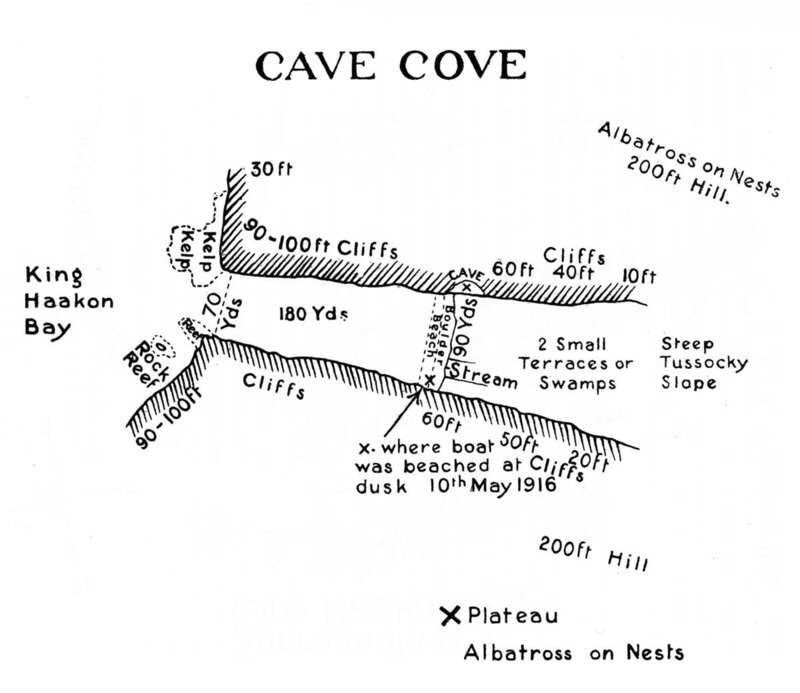 Map of Cave Cove, published in Sir Ernest Shackleton’s South, 1919. 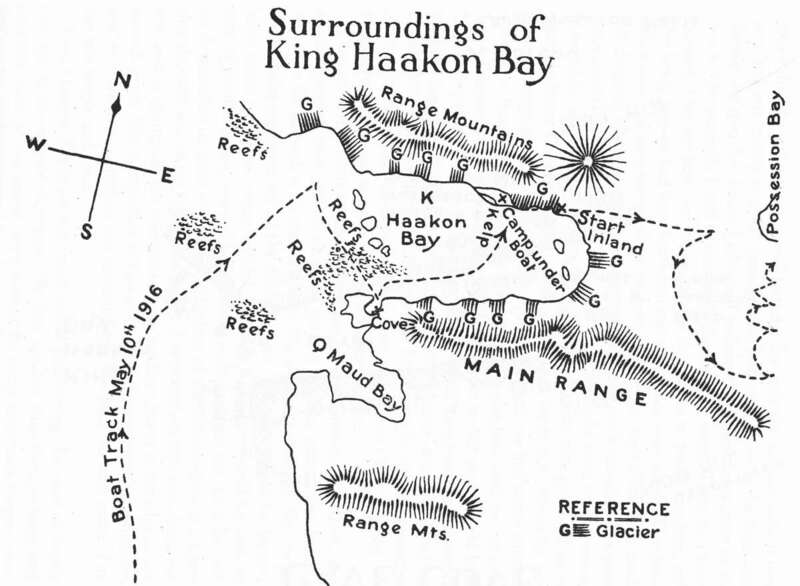 Map of King Haakon Bay, published in Sir Ernest Shackleton South, 1919. They camped for the night watching over the boat rolling in the surf after its painter (the rope to secure it) was carried away. 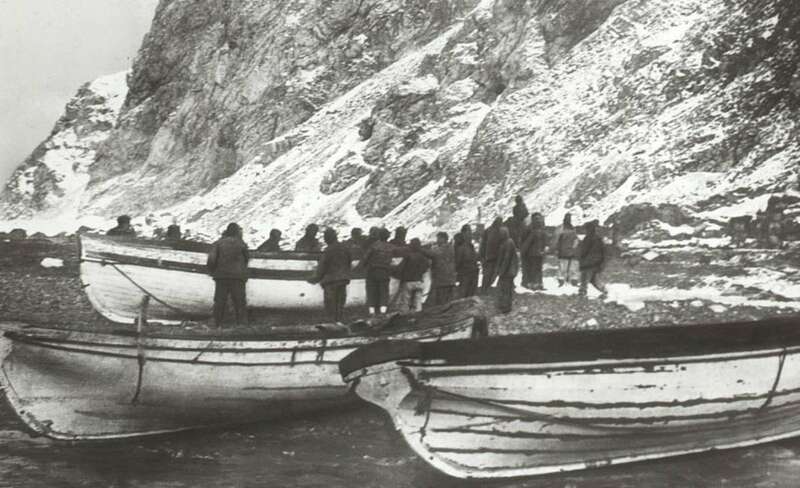 The voyage was not over until several days later when they sailed into the head of King Haakon Bay – fuelled with hot hoosh and baby albatross raided from nests nearby – and after Chippy had lightened the boat, removing the three strakes he had put on at Ocean Camp to increase James Caird’s topsides. Wednesday May 11th … we have not been as comfortable for the last 5 weeks we had 3 young and one old albatross for lunch with 1 pint of gravy which beets all the chicken soup I ever tasted. I have just been thinking what our companions would say if they had food like this. 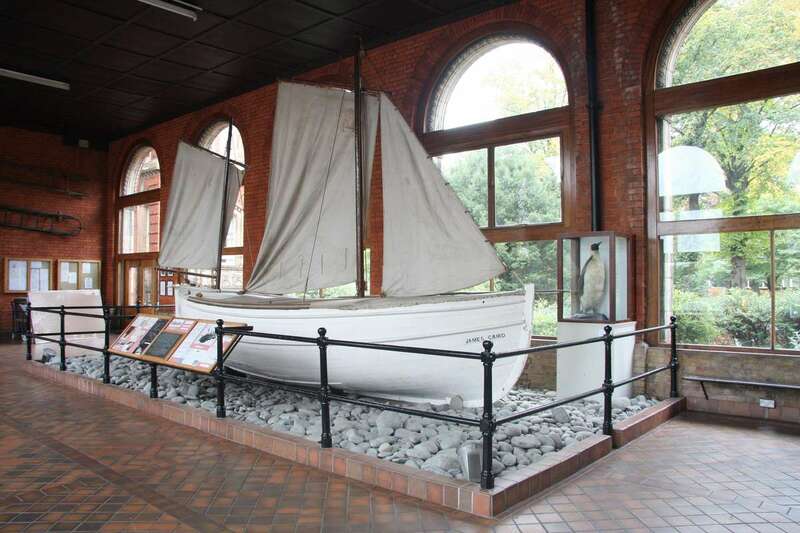 The original James Caird was shipped back to the UK and eventually gifted to Shackleton’s alma mater, Dulwich College, where it is on display as an icon from the heroic age of Antarctic exploration. 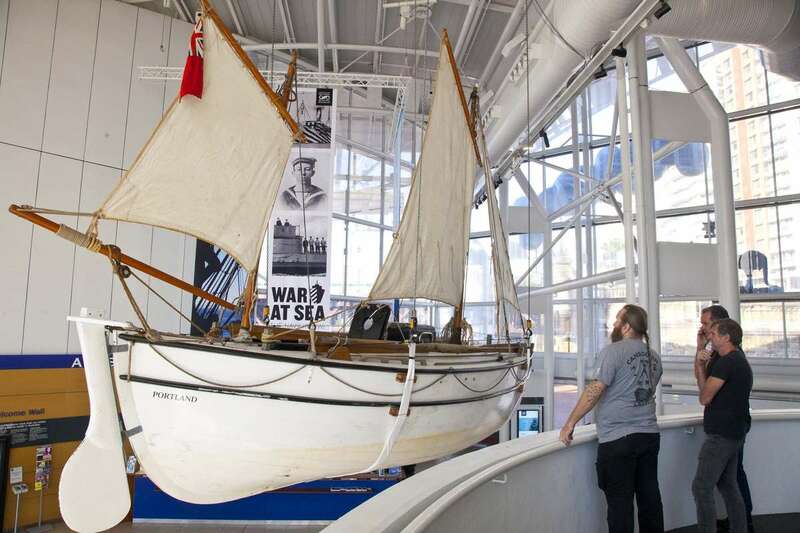 A replica of James Caird used by Anglo-Australian scientist and adventurer Tim Jarvis and the Shackleton Epic crew is currently on display in the museum’s foyer as part of our exhibition Shackleton: Escape from Antarctica. The original James Caird on display at Dulwich College. Courtesy Dulwich College. A replica James Caird, named Alexandra Shackleton, on display in the foyer of the Australian National Maritime Museum. Follow the Shackleton blog for more stories from the expedition. In the next post we’ll hear from one of those companions left behind at Elephant Island under the care of Shackleton’s loyal deputy, Antarctic veteran Frank Wild. Shackleton: Escape from Antarctica is on at the Australian National Maritime Museum until 29 November 2015. 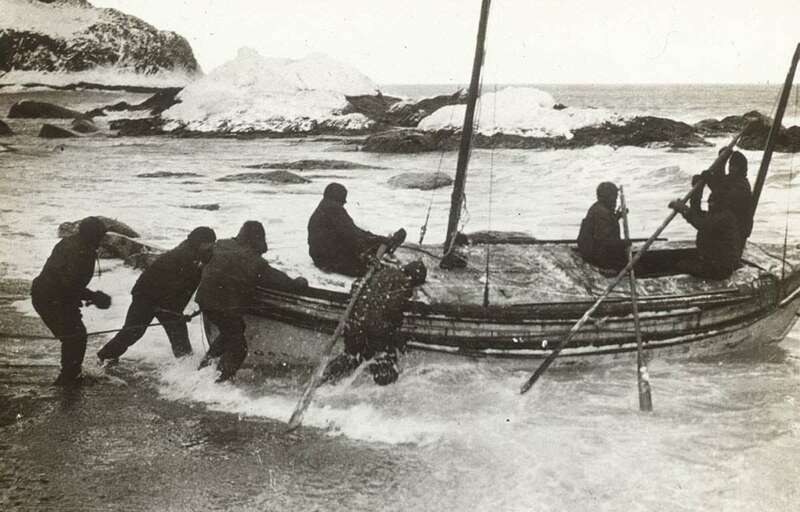 Read our digital story to learn more about Shackleton’s Imperial Trans-Antarctic Expedition and James Caird‘s place in its legacy.